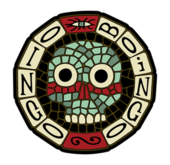 For other uses, see Oingo Boingo (disambiguation). Oingo Boingo /ˈɔɪŋɡoʊ ˈbɔɪŋɡoʊ/ was an American new wave band, formed by songwriter Danny Elfman in 1979. Oingo Boingo emerged from a surrealist performance art theatrical troupe, The Mystic Knights of the Oingo Boingo, founded in 1972 and led by Danny Elfman's brother Richard Elfman. Oingo Boingo were known for their high energy live concerts and experimental music, which can be described as mixing rock, ska, pop and world music. This eclectic mix of styles would eventually influence bands as varied as Fishbone, Nirvana and Mr. Bungle. The band's body of work spanned 17 years, with various genre and line-up changes. Their widest-known hits include "Only A Lad", "Dead Man's Party" and "Weird Science". The Mystic Knights of the Oingo Boingo, formed in late 1972 by Richard Elfman, was a musical theater troupe in the tradition of Spike Jones and Frank Zappa, performing an eclectic repertoire ranging from Cab Calloway covers to instrumentals in the style of Balinese gamelan and Russian ballet music. The name was inspired by a fictional secret society on the Amos 'n' Andy TV series called The Mystic Knights of the Sea. Most of the members performed in whiteface and clown makeup, and a typical show contained music ranging from the 1890s to the 1950s, in addition to original material. This version of the band employed as many as 15 musicians at any given time, playing over 30 instruments, including some instruments built by band members. While this Richard Elfman-led incarnation of the group performed live, it did not issue any recordings. As Richard Elfman's interest shifted to filmmaking, he passed leadership of the band to younger brother Danny Elfman, who had recently returned from spending time in Africa playing violin and studying percussion instruments. They gained a following in Los Angeles, and appeared as contestants on The Gong Show in 1976, winning the episode they appeared on with 24 points out of a possible 30. The Gong Show presentation included an accordion, a purple dragon and a gaseous rocket-man. Later in 1976, The Mystic Knights of the Oingo Boingo released a doo-wop styled novelty single about kidnapped heiress Patty Hearst entitled "You Got Your Baby Back". 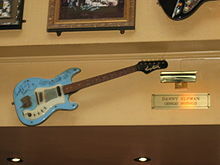 Both this track and the B-side "Ballad of the Caveman" were written and sung by Danny Elfman. The band featured in the 1976 Martin Brest film Hot Tomorrows performing the songs St. James Infirmary and 42nd Street. They appeared as extras in hallucinatory sequences in the 1977 movie I Never Promised You a Rose Garden. When the group began to move away from its cabaret style towards a more pop/rock format, Richard Elfman made a film based on the band's stage performance, Forbidden Zone, which was released in 1980 and filmed in black and white with a cast mostly made up of band members and friends. In one scene, Danny, as Satan, sings a version of Calloway's "Minnie the Moocher" with modified lyrics integrated into the plot of the film. In another, Richard sings the 1920s novelty song "The Yiddishe Charleston". The movie attained cult status and provided a springboard for the film and music careers of Richard and Danny. Various reasons were given for the band's transformation from musical theater troupe to rock band. They included cutting costs, increasing mobility, exploring new musical directions such as Danny's interest in ska and a desire to focus on the music rather than theatrics. The shift was inspired by Danny reconnecting with pop music after becoming a fan of the 2 Tone ska revival bands, the Specials, Madness, the Selecter, and also XTC. For some early gigs, the band used the shortened name The Mystic Knights (and in the animated short "Face Like a Frog" by Sally Cruikshank, the song "Don't Go in the Basement" is credited by that name). The name Oingo Boingo was settled in 1979, at which point their early song "I'm Afraid" appeared on the Rhino Records Los Angeles rock and new wave 'up and coming' compilation, L.A. In. That same year, the band issued a limited print promo-only EP record, the Demo EP, intended for distribution to radio stations and recording industry A&R representatives, to help land a contract. The effort paid off as the record caught the attention of I.R.S. Records, who released a revised version of the EP in 1980; the Oingo Boingo EP. The band had now coalesced as an octet: Danny Elfman on lead vocals and rhythm guitar; Steve Bartek on lead guitar; Richard Gibbs on keyboards; Kerry Hatch on bass; Johnny "Vatos" Hernandez on drums; and Leon Schneiderman, Sam "Sluggo" Phipps and Dale Turner on horns. Early success for the group came in 1980 with the song "Only a Lad" from the eponymous EP. The song aired frequently in Los Angeles on KROQ-FM and complemented the station's then-unusual new wave format. Following regional success of "Only a Lad", the group released its first full-length album in 1981, also titled Only a Lad (and featuring a new recording of the song). Oingo Boingo also appeared in the 1981 film Longshot, performing their unreleased song "I've Got to Be Entertained". The band, recording for A&M Records, released albums in 1982 (Nothing to Fear) and 1983 (Good for Your Soul). Although their sound was termed as new wave and compared to bands such as Devo and later Wall of Voodoo (who opened for them in concert in 1983), Oingo Boingo defied easy categorization. Their use of exotic percussion, a three-piece horn section, unconventional scales and harmony, and surreal imagery became a genre-skewing combination. At this point, new manager Mike Gormley, who had just left the position of VP of Publicity and Asst. to the Chairman of A&M, negotiated a release from the label and signed the band to MCA Records. The first release with MCA was listed as a Danny Elfman solo record in 1984, titled So-Lo, featuring the band's most prominent use of synthesisers to date. The record was actually group effort released under Elfman's name to avoid contractual conflict with their previous label. Subsequently, the band would record under their own name for MCA. Original members Kerry Hatch and Richard Gibbs left the band after the release of So-Lo. With the move to MCA, the band made two personnel switches: Mike Bacich took over on keyboards from departing member Richard Gibbs, and John Avila replaced Kerry Hatch on bass. Oingo Boingo appeared in a number of soundtracks in the early to mid-1980s, including Fast Times at Ridgemont High, which features "Goodbye, Goodbye". Their song charting highest on Billboard Hot 100, "Weird Science", was written for the John Hughes film of the same name, and was later included on their 1985 album Dead Man's Party. Later, the band made an appearance playing their hit "Dead Man's Party" on stage in the film Back to School. In addition, they appeared in and performed several songs in the quirky 1984 Tom Hanks movie Bachelor Party, including "Who Do You Want to Be? ", "Bachelor Party" and "Something Isn't Right". During this era, Danny Elfman began scoring major films, beginning with 1985's Pee-wee's Big Adventure. Elfman would go on to write the scores to almost all of Tim Burton's films. Oingo Boingo guitarist Steve Bartek orchestrated most of Elfman's film and television scores. The album BOI-NGO was released in 1987, featuring new singles. Following its recording, Bacich was replaced by new keyboardist Carl Graves. The band's 1988 release, Boingo Alive, was recorded 'live' on a soundstage. It comprised re-recordings of songs from previous albums and a new song, "Winning Side", which was released as a single and became a No. 14 hit on US Modern Rock radio stations. In 1990 the band released their seventh studio album, titled Dark at the End of the Tunnel. After being dropped from MCA, the band explored a new musical direction and reshuffled their lineup. Graves was dropped (after recording "Lost Like This") and added were Warren Fitzgerald on guitar, Marc Mann on keyboards and Doug Lacy on accordion. The horn section was dropped from concert that year, although still playing session parts with the band in the studio. The band was relaunched by Giant Records with a new alternative rock look and PR campaign, including numerous TV appearances, as a quintet with Elfman, Bartek, Avila, Hernandez and Fitzgerald. During these years, the band was often backed by an orchestra in concert, conducted by Bartek, which featured prominent cello by Fred Seykora. The change of genre was reflected by the band shortening its name to "Boingo", although Danny Elfman insisted that the name change was "kind of an afterthought". Their previous album Dark At The End of The Tunnel had already shortened the name to "Boingo" on its cover, although the change only became advertised once the band moved to Giant Records. In 1994, this incarnation of the band released their only studio album, self-titled Boingo, on Giant Records. Boingo featured more ballads and brooding instrumentation than previous records, although containing the modern rock hit "Hey!". The change of style used keyboards and horns sparingly, also featuring orchestral accompaniments on some tracks. This final incarnation was short-lived, when it was announced Boingo would be disbanding at the end of 1995, after 17 years. The name was reverted to Oingo Boingo, with the return of the horn section. The band embarked on a "Farewell" tour in 1995, ending with a final Halloween performance at the Universal Amphitheatre. The concert was filmed and made available as a live album and DVD. Following the band's dissolution, Danny Elfman continued composing for film. He has been nominated for four Academy Awards. His first major motion picture score had been Pee-wee's Big Adventure in 1985, and he continues to be much sought-after in the movie business, particularly in collaboration with director Tim Burton. Elfman almost exclusively employs former Oingo Boingo guitarist Steve Bartek as orchestrator. Pee-wee's Big Adventure aside, his scores have included those for Batman, Edward Scissorhands, Good Will Hunting, Men in Black, Spider-Man, Big Fish, and The Nightmare Before Christmas. Elfman also wrote themes for more than a dozen TV series, including The Simpsons, Batman: The Animated Series, Tales from the Crypt and Desperate Housewives. In early 2007, Danny Elfman said there would not be an Oingo Boingo reunion, due to fears that playing live would exacerbate his, and possibly other band members', hearing loss. Notwithstanding this announcement, on Halloween 2015, Danny Elfman along with the other original voices of the movie The Nightmare Before Christmas (including Catherine O'Hara), performed at the Hollywood Bowl singing all of the songs of the movie while it played in its entirety with a complete orchestra. The encore for the event culminated in Danny Elfman and Steve Bartek performing "Dead Man's Party" for the first time in twenty years - indeed, it was exactly twenty years since they had last performed the song. I was so proud to have the 4 track EP from Oingo Boingo, put that music on and just discover these great songs like "Only A Lad" and "Little Girls", and realise that this band was really a representation of what Los Angeles is. It's the cutting edge, it's something new, it's excitement and it's a good time. ... If you were fortunate back in the day to catch Boingo live, you left A – exhausted, B – soaking wet from your own sweat and C – you couldn't wait to go to Tower Records or Music Plus to go buy their latest album. – Los Angeles radio & TV host Richard Blade speaking in 2016 on the band's impact. Over 20 years since their Farewell concert, Oingo Boingo were honored with a resolution at the LA City Hall in April 2016. Popular LA radio & television personality Richard Blade gave a speech describing Oingo Boingo as "really a representation of what Los Angeles is, it's the cutting edge, it's something new, it's excitement and it's a good time." Several members attended the meeting from across the band's changing line-ups, including Johnny "Vatos" Hernandez, founding keyboardist Richard Gibbs, John Avila, Carl Graves and Sam "Sluggo" Phipps. In 2003, former keyboardist Richard Gibbs scored the Battlestar Galactica miniseries with composer Bear McCreary. In 2005, John Avila, Johnny "Vatos" Hernandez and Steve Bartek began contributing to the subsequent McCreary-scored Battlestar Galactica television series. During the 2006 Halloween season, there were two Johnny Vatos Tribute to Halloween shows, one in Los Angeles and one in Orange County, with Vatos, Bartek, Avila, Phipps, and Legacy. Since the 2005 Halloween season, former drummer Johnny "Vatos" Hernandez has regularly put together Oingo Boingo tribute concerts, occasionally joined by former Oingo Boingo members Steve Bartek, John Avila, and Sam "Sluggo" Phipps, at The Grove of Anaheim. Usually standing in on vocals is singer Brendan McCreary. John Avila and Johnny "Vatos" Hernandez were two members of the trio Food For Feet. They also formed the rhythm section of Tito & Tarantula, a Los Angeles band fronted by Tito Larriva of The Plugz and the Cruzados. Avila and Hernandez also joined Larriva and guitarist Stevie Hufstetter in a one-off project band called Psychotic Aztecs. The Aztecs released one album on the Grita label called Santa Sangre. Doug Lacy (Boingo live keyboardist and percussionist) recruited bassist John Avila, guitarist Steve Bartek, drummer Johnny "Vatos" Hernandez, and saxophonist Sam Phipps (among other musicians) for a band called Doug & The Mystics. They recorded one album, New Hat, which included a cover of the Oingo Boingo song "Try to Believe", original songs, and covers of songs by Frank Zappa and other artists. Doug had released one solo album previously. For a more comprehensive list, see Oingo Boingo discography. ^ a b "Oingo Boingo – Biography, Albums, Streaming Links – AllMusic". AllMusic. Archived from the original on 2016-11-13. ^ Miller, Scott (2010). Music: What Happened?. 125 Records. ISBN 0-615-38196-0. ^ "Only a Lad – Oingo Boingo – Songs, Reviews, Credits, Awards – AllMusic". AllMusic. Retrieved 29 September 2014. ^ Denman-Underhill, Lori (22 October 2015). "Overcoming Stage Fright, Danny Elfman Brings Nightmare to the Bowl". laweekly.com. Archived from the original on 22 October 2015. ^ Danny Elfman (interviewee) Jooles Holland (interviewer) Derek Burbidge (director) (May 1982). Urgh! A Music War. Warner Bros. Later on in the 70s when the punk thing started happening, I found it difficult to totally relate to the music, because it was real simple ... but the energy and speed I loved. I loved fast music. And that got me inspired once again to start writing. ^ "Oingo Boingo on the Gong Show". YouTube. Archived from the original on 2011-11-05. Retrieved 2011-11-02. ^ Halfyard, Janet. Danny Elfman's Batman: A Film Score Guide. Scarecrow Press. p. 6. ISBN 978-0-8108-5126-9. ^ "An interview where Danny Elfman mentions the new wave and Ska influences in Oingo Boingo". Mixonline.com. 2001-05-01. Archived from the original on 2012-02-29. Retrieved 2011-11-02. ^ "Los Angeles Times interview with Danny Elfman". Articles.latimes.com. 1985-10-22. Archived from the original on 2011-08-05. Retrieved 2011-11-02. ^ "San Francisco Chronicle Q and A with Danny Elfman". Boingo.org. 1994-06-12. Archived from the original on 2011-10-04. Retrieved 2011-11-02. ^ Chris Danger (20 April 2016). "Richard Blade Speaking at "Oingo Boingo Day" Ceremony – Los Angeles City Council Chambers". Archived from the original on 10 May 2018 – via YouTube. ^ "80s Band Oingo Boingo Performs Acoustic Set At LA City Council Meeting". CBS Los Angeles. 2016-04-20. Archived from the original on 2016-10-31. Retrieved 2017-08-09. ^ "Bear McCreary – Official site". www.bearmccreary.com. Archived from the original on 2009-04-06. ^ "Johnny "Vatos" Hernandez: Official Site". Johnnyvatos.com. Archived from the original on 2013-05-08. Retrieved 2013-02-19.